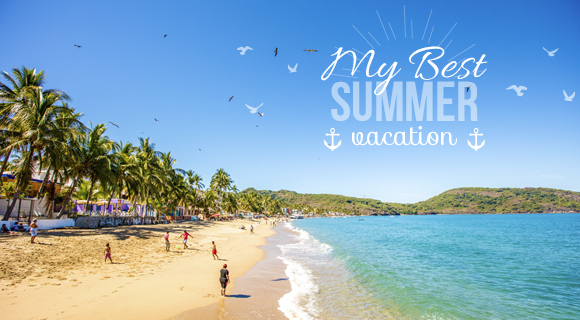 Riviera Nayarit Mexico Blog: Enjoy A “Summer Of Luxury” In The Riviera Nayarit! Enjoy A “Summer Of Luxury” In The Riviera Nayarit! The Riviera Nayarit, also known as Mexico’s Pacific Treasure, has extended an open invitation to enjoy a “Summer of Luxury” with the very best Summer Specials launched by 30 of the destination’s properties working together with the Marketing desk of the Riviera Nayarit Convention and Visitors Bureau (CVB). The Summer Specials begin this Wednesday, July 5th and will continue on through July 31, 2017 in order to incentivize visitors during this vacation season. Hotels with both European Plan and All-Inclusive are offering incredible discounts ranging from 15 to 64 percent off; 50 percent off for kids under 12; free rounds of golf; discounts on spa treatments and other amenities; plus interest-free payments for up to 3, 6 or 12 months. Visitors will have the opportunity to enjoy Nuevo Vallarta, Punta de Mita, Bucerías, La Cruz de Huanacaxtle and Rincón de Guayabitos during their stay at participating hotels. B Nayar, in La Cruz de Huanacaxtle, and Refugio del Mar in Bucerías are two of the newest participants in these promotional efforts. This promo is an effort by the Riviera Nayarit CVB and the hotel sector to motivate tourists to visit by offering a gamut of possibilities for every budget.